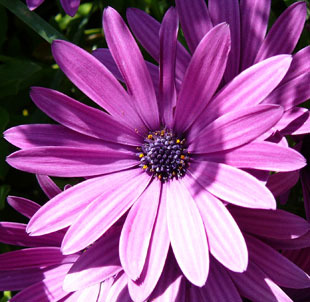 African Daisy, South African Daisy and Blue-eyed Daisy. The escape is found in the Isles of Scilly. The escape is found on rough ground close to habitation. 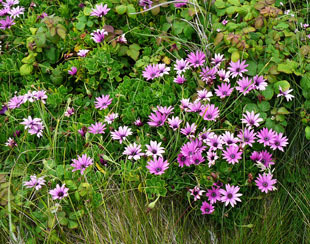 an invasive alien weed in Australia, New Zealand and the USA. 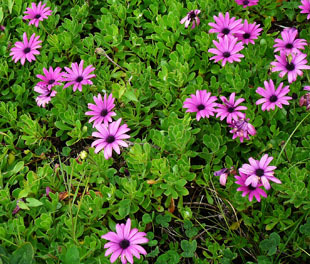 Cape Daisy is a non-native, colourful herb, growing to over 90cm. 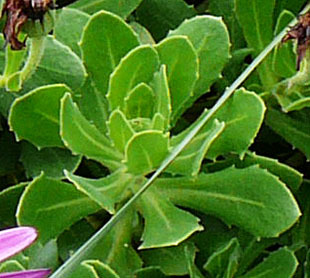 Leaves are green, ovate, entire and slightly fleshy.